In 2015, the drama Creed defied expectations. The film, which featured Sylvester Stallone returning to the role of Rocky Balboa, served as an addition to the long-running Rocky series while also standing alone as the introduction of a new boxer on the horizon. That new boxer, Adonis Creed (Michael B. Jordan), is the son of the late Apollo Creed, who was killed in the original Rocky series. In Creed 2, which arrives in theaters today, Adonis’ heritage comes back to overshadow his newfound success in the ring. Early in the new film, Adonis wins the title — claiming a victory that once belonged to his father and his mentor Rocky. That title, though, provides the perfect opportunity for Ivan Drago (Dolph Lundgren), the fighter responsible for Apollo’s death, to return to the spotlight. Drago’s son Viktor (Florian Munteanu) has been waiting and training for such an opportunity. Viktor challenges Adonis to a fight. That challenge – a well-timed publicity stunt — captures the headlines and pushes Adonis into accepting a challenge that even Rocky doesn’t want him to take. “When a fighter ain’t got nothing to lose, he’s dangerous,” Rocky says but the opportunity to defend Apollo’s legacy and seek vengeance against the son of Viktor proves too tempting for the young boxer. Jordan brings a powerful drive to the lead character and his relationship with Bianca (Tessa Thompson) is a high point in this sequel. While in the ring, Creed is confident and prepared but his nerves fail him when he’s longing to make a commitment to Bianca. 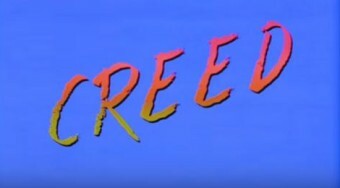 Much of the feature’s first half plays out in a traditional fashion with Creed — neglecting Rocky’s advice — preparing for the bout. Meanwhile, Viktor trains with his demanding father. Halfway through the movie though, the story takes a few great turns presenting a more rounded group of characters. The screenplay by Sylvester Stallone and Juel Taylor takes its time in presenting a bigger world for these characters to dwell in. From a few short but powerful scenes featuring Ivan and Viktor to some great powerful moments of medical testing, the feature rounds out its eclectic mix of characters. Steven Caple Jr. takes over directing duties from Ryan Coogler and does an admirable job with the proceedings. From his portrayal of Viktor training in frigid temperatures to Adonis’ training in the heat, the director ably captures the two divergent worlds on display here. In some of the Rocky films, not enough attention is paid to the opponents but to his credit, Caple Jr. does feature Ivan and Drago throughout the feature. He shows what’s at stake for them in the match-ups here and how Ivan’s life changed dramatically after he was defeated by Rocky. One of the film’s most devastating scenes is a dinner sequence where Ivan’s mother makes a brief appearance. Creed II isn’t the roaring success that its predecessor was. There are too many familiar notes struck in the feature’s first half. However, the second half is the one that makes this follow-up really stand out in capturing a well-developed group of characters. There’s also an emotional complexity to the battle, which makes the climactic fight all the more powerful. 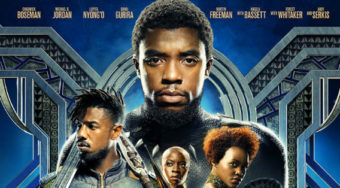 Once again, Jordan proves himself as a great actor and he’s supported here with strong turns from the underrated Phylicia Rashad, Sylvester Stallone and Tessa Thompson. Dolph Lundgren deserves great credit for adding a complexity to his character too, showing that Rocky and Creed aren’t the only ones fighting for their legacy.